The only thing better than hot Italian meat, is getting it off a secret menu. The #5 Luparello’s Special at Joey’s Pizza in Fountain Valley is a wonderful memento of the original name of this hole-in-the-wall pizza place. Notice that the #5 is on the “cold” sandwiches menu. That’s odd, the sandwich above looks like it got a loving hug from a pizza oven. Yes it did. The #5 Luparello’s Special is 10x better when you ask for it hot. The bread crunches, the meat oil drips, it oozes, it begs to be eaten. Quickly. Chew and swallow. Chew and swallow. You can find Joey’s Pizza on the corner of Magnolia and Garfield on the border of Fountain Valley and Huntington Beach. You’re welcome. 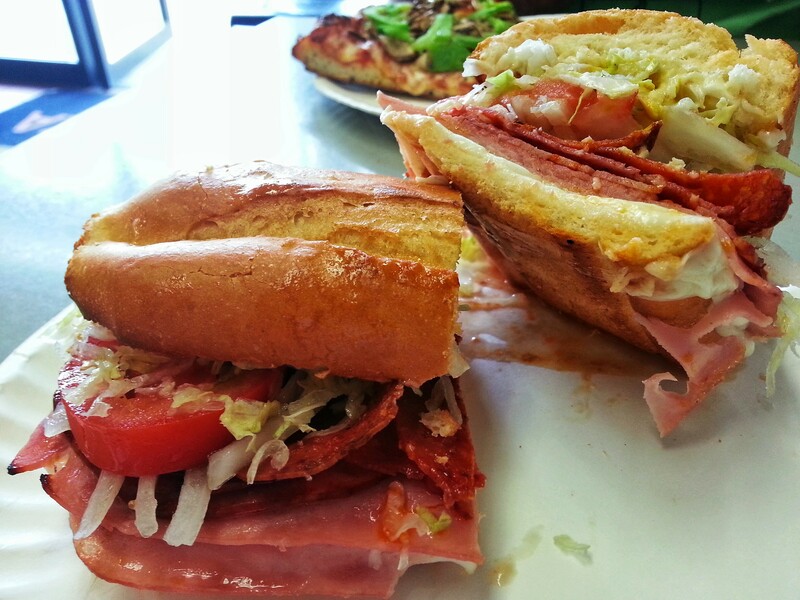 Posted in Fountain Valley, Italian, Lunch, Meat, Sandwich, Southern CaliforniaTagged Fountain Valley, Hot, italian, Joey's Pizza, Lunch, Luparello's, sandwich, Southern CaliforniaBookmark the permalink.